National aviation organizations commended Texas Gov. Rick Perry for declaring November "Aviation Appreciation Month." Across Texas, general aviation supports over 56,000 jobs and an economic output of more than $14.6 billion annually. "We applaud Gov. Perry's recognition of the critical role of general aviation, both in Texas and across the country," said Selena Shilad, executive director of the Alliance for Aviation Across America. The two-seat e-volo Volocopter rotorcraft flew for the first time inside an arena in Karlsruhe, Germany, the company announced. The aircraft flew multiple times, with several flights almost reaching the 70-foot-high ceiling of the arena. The takeoffs and landings were smooth, the company said, and flight was vibration-free. A research team at the Massachusetts Institute of Technology has developed a simple technology that could help to prevent icing on aircraft wings, the university announced. The team experimented with ridged surfaces to see if they could reduce the time it takes for a water droplet to hit a surface and then recoil. The quicker the water is repelled from the surface, the less time it has to freeze. WARNING! You may be paying too much for your aircraft insurance! 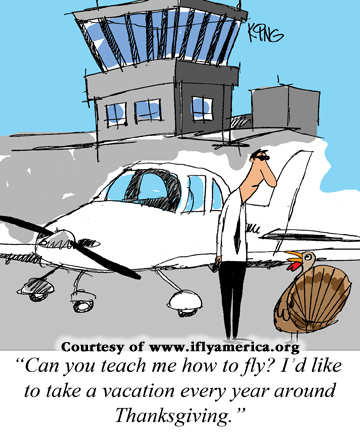 The IFA Aviation Insurance Program offers you more choices and better rates. Flying in the winter offers some unique challenges for the rotorcraft community. Temperatures drop, the days get shorter and snow/ice/sleet become a real possibility for much of the United States. To prepare for this change in season, consider making a few changes that apply to both you and your aircraft to ensure safe winter operations. An investigative report adds fuel to concerns raised by East County, Calif., residents over the safety of foreign pilot training at Gillespie Field. The NBC investigation, titled "Foreign Airline Pilots, U.S. Flight Schools: Do they get enough training time in cockpit?” has prompted the Federal Aviation Administration to announce tighter regulations of training of foreign pilots at American flight schools. Fans of Piper's revered Super Cub can now find a passing copy in the light-sport market, thanks to the recent FAA approval of the Super Legend Cub LSA, built by Texas-based American Legend Aircraft Company. After suffering through six to seven weeks of delays due to the recent government shutdown, the company received the green light for the airplane. The New Jersey Department of Transportation is paying $80,064 toward runway and taxiway construction at Ocean County Airport, taxiway lighting replacement at Essex County Airport and a runway crack repair at Linden Airport — three projects that together cost just over $1.6 million. A decade after the Wright Brothers' powered flight landmark The Engineer was unconvinced that aviation had much of a future as a civilian mode of transport. The uncharacteristically downbeat article reported that with a few exceptions — such as the Sikorsky biplane and a French air mail service running between Paris and Nice — most notable aircraft development was targeted at military applications. Are flying cars the answer for frustrated Bay Area commuters? California commuters fed up with the Bay Area's increasingly nightmarish traffic may be getting closer to escaping the snarls in a flying car, with the latest possible exploration of the concept based in Silicon Valley. With two companies — including one in Davis — already working on flying cars, considerable mystery surrounds the "personal aircraft" concept detailed in a patent application by Ilan Kroo, of Zee.Aero in Mountain View. While the Minot, N.D.-based, seven-man crew B-52H Stratofortress, HAIL13, and their Barksdale wingman, HAIL14, were flying over Alaska, they received a call for help from the Anchorage Air Traffic Control Center. The whereabouts of a small Cessna plane had become unknown after its pilot became disoriented after flying into bad weather.